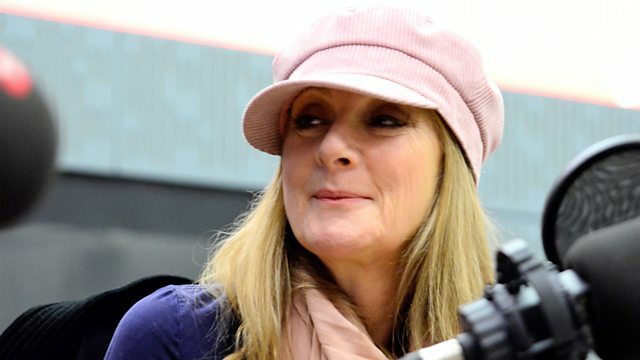 Clive Anderson and Arthur Smith are joined by Lesley Sharp, Rebecca Front, Ishy Din and Omar Meziane for an eclectic mix of conversation, music and comedy. With music from Art Brut and Novelist. 'Living The Dream' will premiere on Sky One on Tuesday 8th January 8th 21.00 and TV streaming service NOW TV. 'Cooking For Fitness' by James Haskell and Omar Meziane is out now. 'Approaching Empty' plays at Kiln Theatre, London from 9th January to 2nd February and is then on tour until 13th April. 'Love In Recovery' is on Tuesdays at 18.30 on BBC Radio 4 but can also be found on Radio 4 Extra and BBC Sounds. 'Novelist Guy' is available now on Mmmyeh Records. Novelist is performing at 100 Club, London on 28th January. Check his website for other upcoming dates. Independent Venue Week runs from 28th January to 3rd February at various music venues across the UK. Art Brut are playing at London's Garage on 17th January, Hare And Hounds, Birmingham on 15th and The Exchange, Bristol on 16th February. Check their website for further dates.